I hope this blog appears as I’m actually still in London after the Paperback and Pulp Book Fair yesterday and have scheduled it to publish today. I’ll report back on the fair next week. X692 published by PAN in 1967 was ‘The Sterile Cuckoo’ by John Nichols made into a film in 1970. In the US the film was still called ‘The Sterile Cuckoo’ but in the UK in was renamed ‘Pookie’ after the main character Pookie Adams. 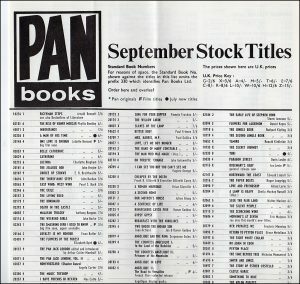 PAN republished it as ‘Pookie’ as a film tie-in with Liza Minnelli as Pookie on the cover. HERE is a page showing both covers plus a few related bits and pieces mostly using the same photo as on the book. The theme music was ‘Come Saturday Morning’ which was a hit for the Sandpipers. Irish writer Maurice Walsh plus ‘The Doctor’ and a reminder. While in Ireland last month I intended to visit the birth place of Maurice Walsh who had books published by PAN in the early 70’s Unfortunately Lissleton turned out to be further off our route than I thought so I didn’t get to see the two memorial stones in the area. I wish I’d done a little more research before we left as we actually stopped off in the town where he died, without knowing it. This was Blackrock near Dublin where we found we were too early for the ferry and as it had a nice park next to the sea it was a pleasant place to while away an hour or two. 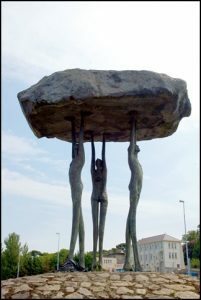 The picture shows the Blackrock Dolman. Maurice Walsh (21/4/1879 to 18/02/1964) wrote twenty books of stories of which probably the most well know is ‘The Quiet Man’ originally published in ‘The Saturday Post’ (1933) and later included in the book of short stories ‘Green Rushes’ The John Ford film was released in 1952 and stared John Wayne and Maureen O’Hara. 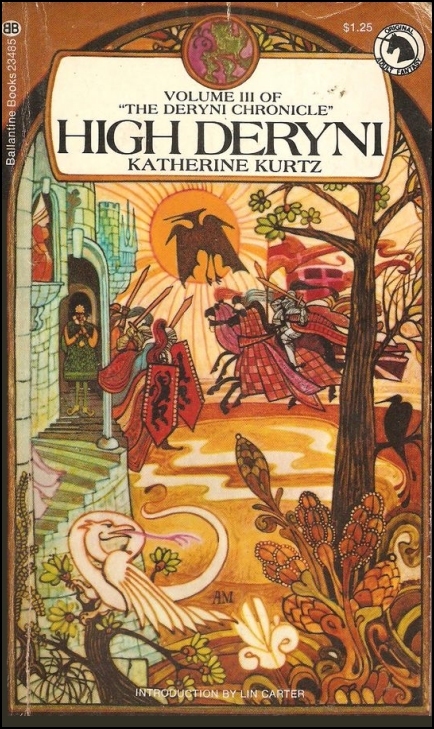 So far I’ve not been able to find the artists for the covers of the four titles PAN published although I could make some guesses. If anyone has any suggestions please let me know. 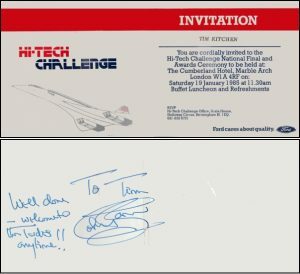 Back at the end of August I mentioned meeting Colin Baker as Dr Who at the Ford Hi-Tech Challenge. 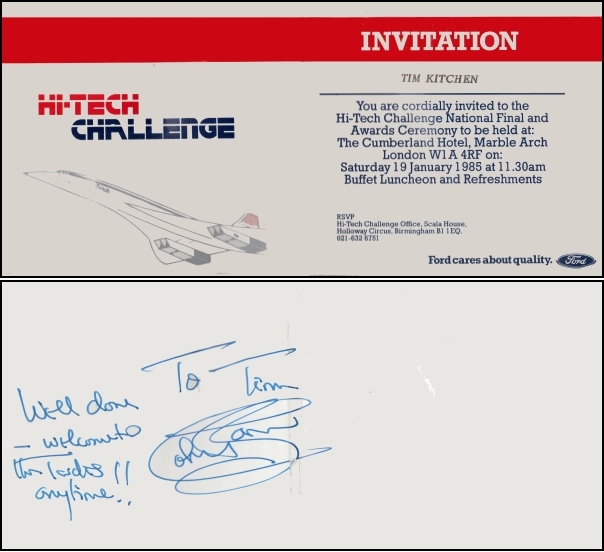 I’ve not managed to find the programme yet but my wife managed to find my invitation which Colin signed. …. 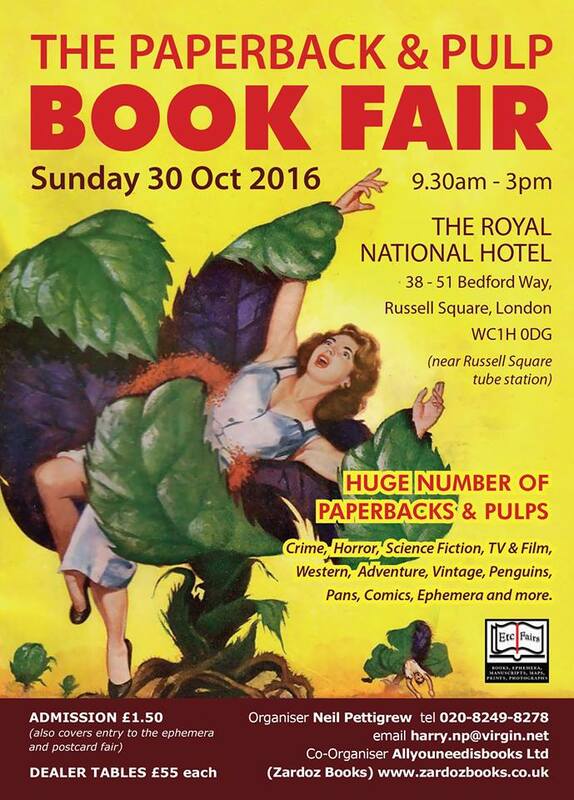 and finally if you are in Central London next Sunday …… I may see you there? We’ve just done our annual stretch of the Yorkshire Wolds Way. This makes it two thirds completed over four years so just two more years to go! 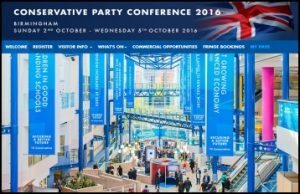 These things can’t be rushed (literally) hence a brief blog this week. 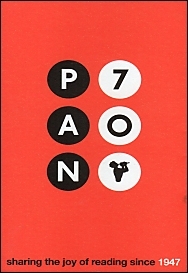 I mentioned Star Wars last week and here are four titles including a couple from Boxtree, PAN’s imprint which specializes in film and TV tie-ins, illustrated books and humour. I’ve also just got a stock sheet for September 1969 which I’m perusing carefully and have already found at least one title I hadn’t got. 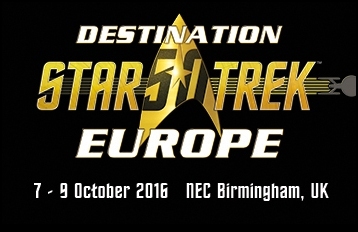 If I can scan it in chunks and join it together I’ll add it to the site. State of the Art Computing and Beyond! Here I am hard at work writing the latest blog. 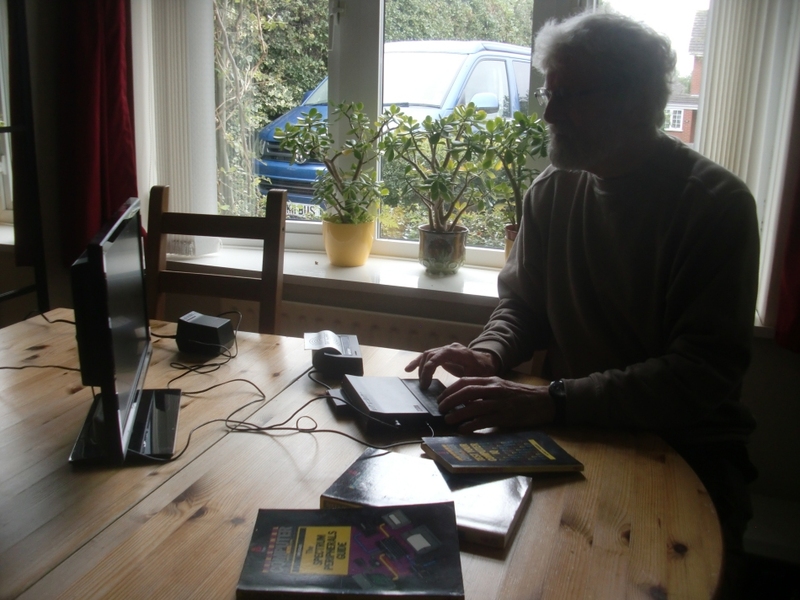 As you can see I’ve moved on from my Sinclair ZX80 and now use the ZX81. 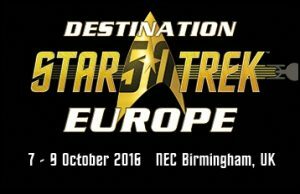 I still have my heart set on a ZX Spectrum but one can only dream! Luckily PAN was there to help me with a range of books but mainly for the Spectrum. I do have a Spectrum somewhere and also a Z88 which has never been out of its box. 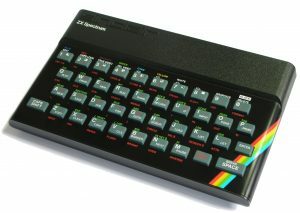 Many years ago secondary schools were each given ten Z88s as part of the TVEI scheme but the majority went to the back of a cupboard and stayed there. I called in to one school a few years later to find them putting their ten, in unopened boxes, in a skip. I was offered the lot but looking on eBay I could have bought two for £1.50 I just took one but as this has nothing to do with PAN I’ll get back to mentioning their books ‘Sixty Programs for the Sinclair ZX Spectrum’, ‘The Spectrum Peripherals Guide’, Test Your Computer IQ’ and ‘PAN Study Aids Computer Studies’ I’ve also included a few from the net. Both have an ‘out of this world’ take on life and I though it was unusual that PAN didn’t have some connection with either but on checking I find I was wrong. 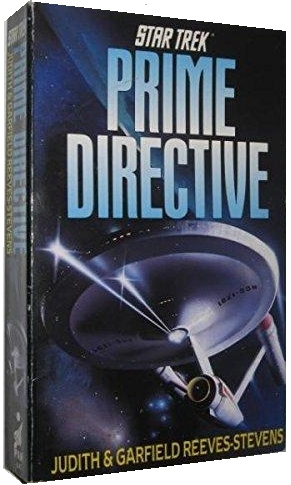 PAN produced several Star Trek related titles including ‘Prime Directive’ which has on the spine another version of the PAN logo this time for Sciience Fiction. 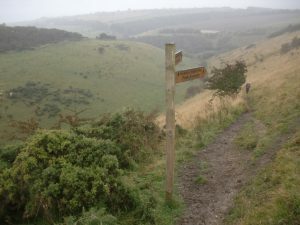 I’ve still not found the page on a website which featured all the variations, should have bookmarked it! 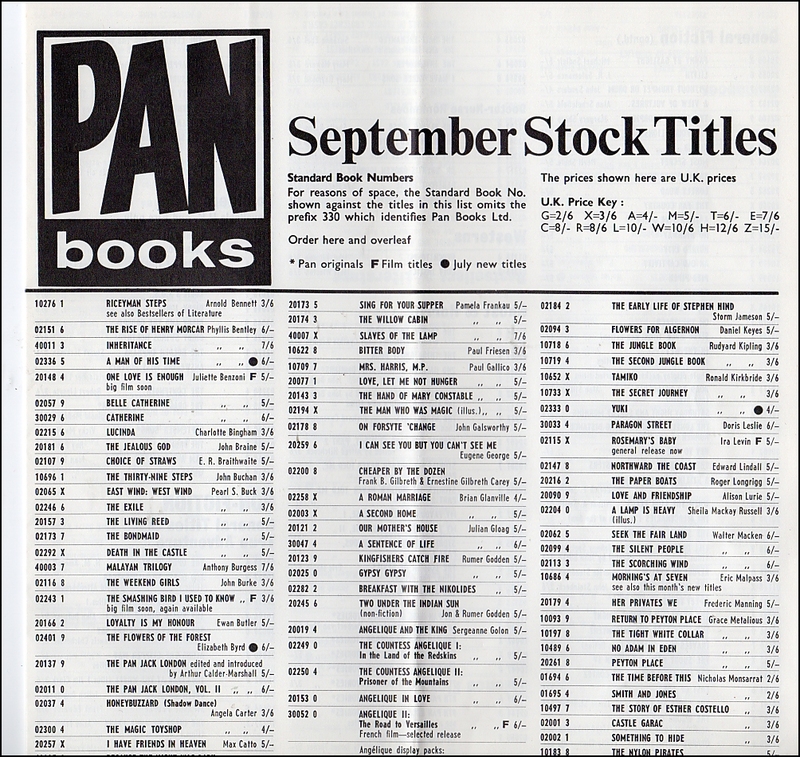 Some PAN ST covers next week. 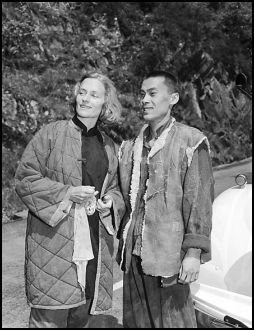 Gladys Aylward is probably best known for her work in China through the book ‘The Small’ Woman’ by Alan Burgess. 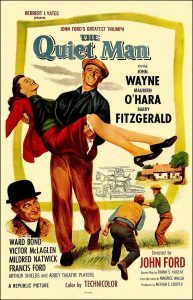 It was filmed in 1958 as the ‘The Inn of the Sixth Happiness’ starring Ingrid Bergman as Aylward. 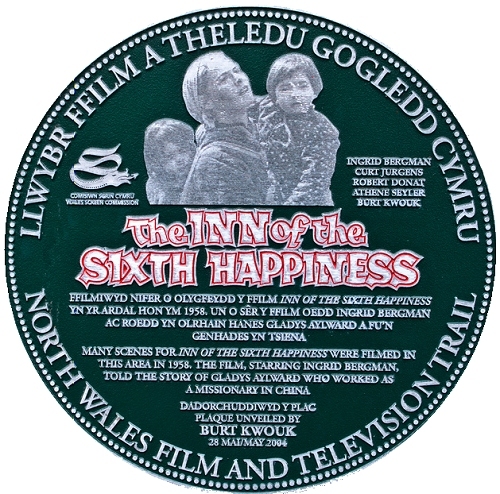 It also featured a very young 28 year old Burt Kwouk as Li and most of the filming was done near Bedgellert in North Wales where in 2004 Kwouk returned to unveil what was the first of many plaques for the ‘North Wales Film and Television Trail’ PAN also published ‘A London Sparrow’ by Phyllis Thompson in 1972 jointly with Word Books. 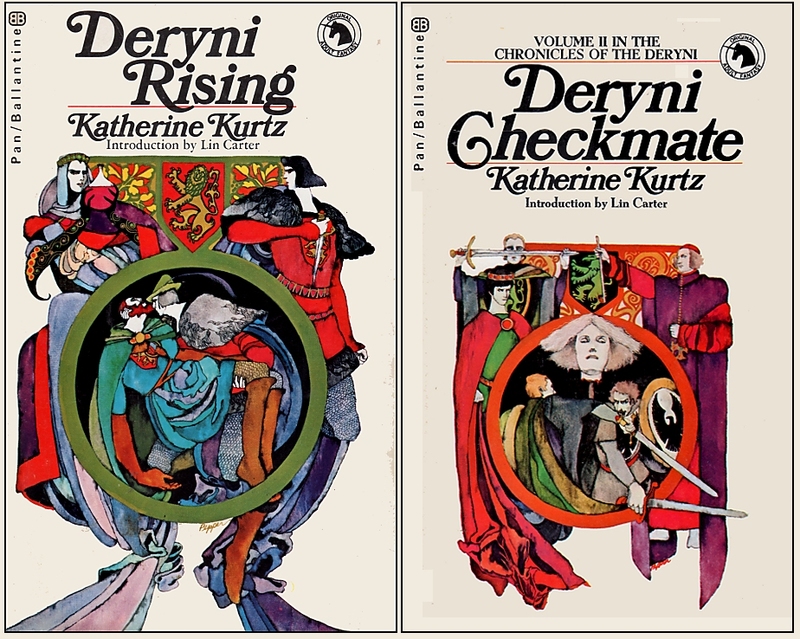 Just sorting out titles jointly published by PAN and Ballantine (I’m not including the 130 war books possibly published by them in the 70’s) and today I’m including a couple from 1973 in the ‘Deryni’ trilogy with covers by Bob Pepper. 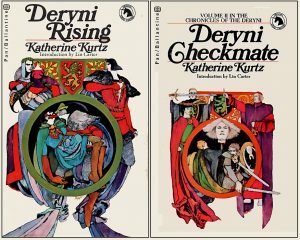 For some reason or other the last volume ‘High Deryni’ was only published by Ballantine in 1976. …… and finally, over the years, I’ve been looking for a couple of ‘Modesty Blaise’ tiles from 1979/80 which never seem to come up until last week when they both appeared at a price I was happy to pay. 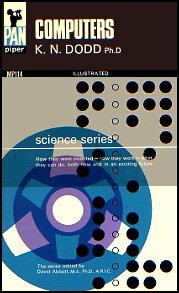 I’ve added them to the page but again it’s another that needs all the cover rescanning at a larger size – one day …. !